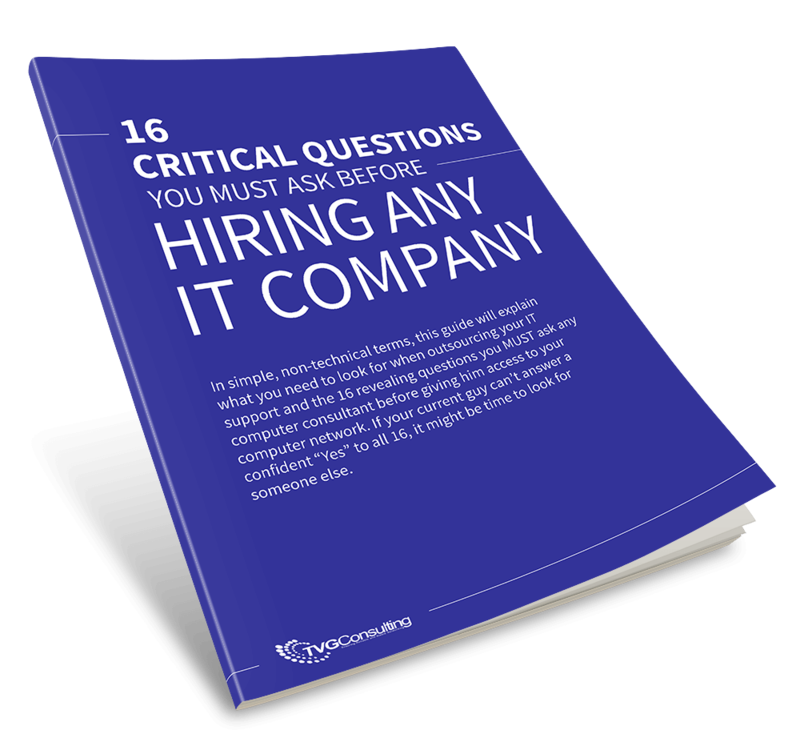 If your current IT person or the IT Service provider you’re considering can’t answer a confident “yes” to all 16 of these questions, it’s time to look for someone that can. OVERVIEW: This guide explains in non-technical terms what you need to look for when outsourcing your IT support, as well as cost-saving strategies, insider tips and 16 revealing questions you MUST ask any computer consultant before giving them access to your computer network. ü The single most expensive mistake most small business owners make when hiring IT consultants. ü The surprising reason most small businesses fall victim to sub-standard support. ü What some IT consultants are doing to take advantage of business owners (and how to make sure you’re not one of them). ü How to avoid expensive computer repair bills and get all the computer support you need for a low, fixed monthly rate.